This article is sponsored content brought to you by Hill’s. 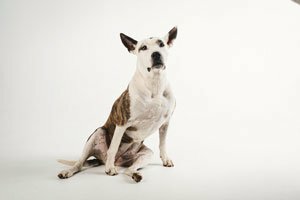 It is estimated that osteoarthritis (OA) affects up to 20% of dogs over one year of age, and 50% over the age of 10.1 Risk factors include increasing age, rapid growth, being of a large breed, genetic predisposition, lifestyle factors, obesity and trauma.1 Given the widespread nature of the problem and the extensive range of products available, all claiming to help, where do we start? As veterinary professionals, we combine evidence with our clinical experience to determine the best treatment for each individual pet. All of this was very much top of mind for Rebecca, a veterinary nurse in Queensland, who was faced with this very circumstance with her own dog, Bella. Bella is a 9 year old Bull Arab that has had spine and hip issues since she was six weeks old. By by the age of 3 years she had damaged both cruciate ligaments. Recently while looking for additional ways to help Bella and after considering the evidence provided to her by her Hill’s Territory Manager, Rebecca decided to try Hill’s™ Prescription Diet™ j/d™. 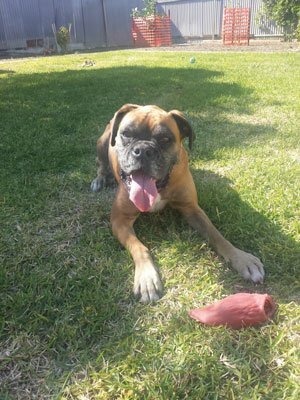 Michelle, a nurse in Adelaide was looking for long term management options for her Boxer Lexi. “Lexi was diagnosed with elbow dysplasia at just one year of age and having already developed osteroarthirits we were looking at having to put her on long term medication,” Michelle says. Lexi has been able to maintain her quality of life despite having osteoarthritis. For those not familiar with the ‘why’ behind j/d—it is the eicosapentaenoic acid (EPA) technology and high overall Omega-3 levels are the reason the Hill’s foods (Hill’s™ Prescription Diet™ j/d™, Hill’s™ Prescription Diet™ Metabolic plus Mobility, Hill’s™ Prescription Diet™ k/d™ plus Mobility) work so well. In high concentrations, EPA switches off the genes coding for the production of aggrecanases, the enzymes responsible for breaking down cartilage in arthritic joints. EPA thus helps limit ongoing damage in arthritic joints, as well as having good anti-inflammatory properties. A recent independent review2 looked at the efficacy of nutraceuticals commonly used for the treatment of OA in horses, dogs and cats. It found that the only nutraceutical with convincing evidence was eicosapentaenoic acid (EPA) for the management of OA in dogs.3 There were four canine EPA studies, and they were the only ones which met the authors’ criteria for quality and evidence—all of the other studies, including those on glucosamine, chondroitin and green-lipped mussel, either had design flaws or inconsistent results, or both. It just so happens that all of the EPA studies were conducted by Hill’s when researching the benefits of Hill’s™ Prescription Diet™ j/d™ Canine. 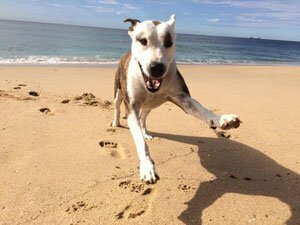 To find out more about the studies supporting the efficacy of j/d, check out the blogs written by Dr Annabel Robertson, Hill’s Technical Services Veterinarian at https://www.myhillsvet.com.au/blog/2018/06/ or contact the Hill’s HelpLine (1800 679 932) or your local Hill’s Territory Manager. 1. Pfizer Inc. research, www.rimadyl.com. Data on file at Hill’s Pet Nutrition, Inc.